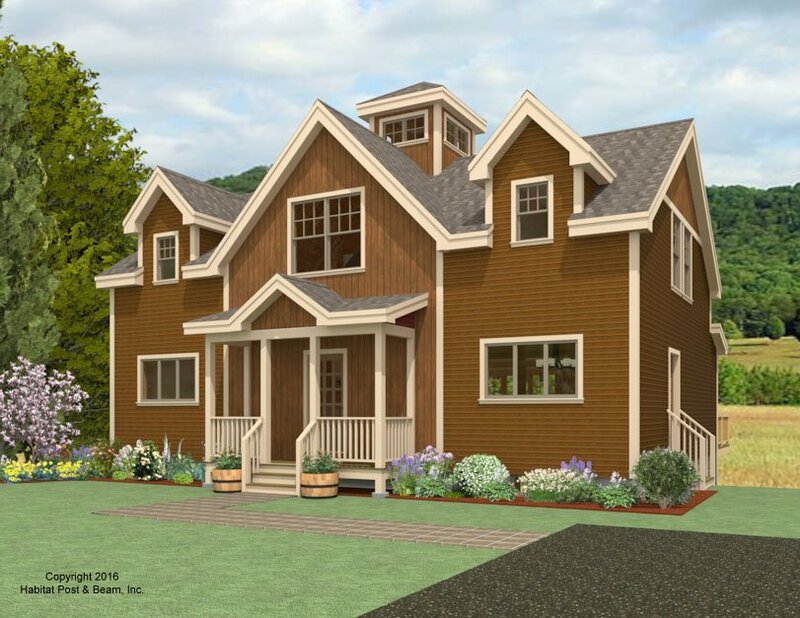 Based on our Lodge series (http://www.postandbeam.com/plans/filtered?type=houses&houseDesignGroup=lodgeHomes&keywordSearch=), this custom home will be built in the Five College Region of western Massachusetts. 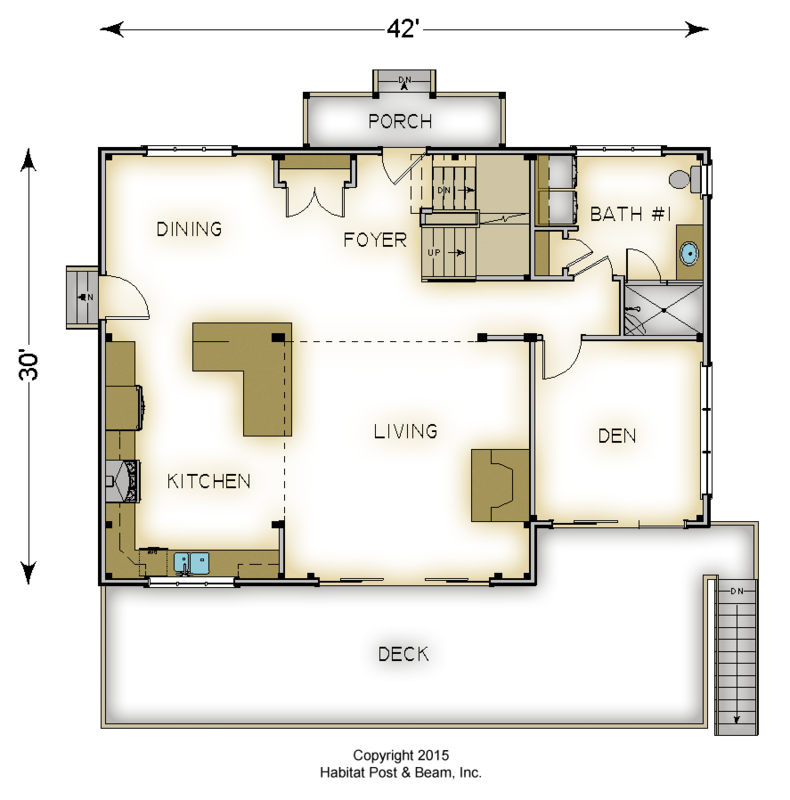 The main level is about 1212 sq. ft. with a beamed cathedral ceiling over the rear center section living room (http://www.postandbeam.com/roof-framing-system). The front of the center section (hallway/foyer) and both sides of the main level have a Plaster and Beam Mid-Floor System (http://www.postandbeam.com/floor-framing-system) above. 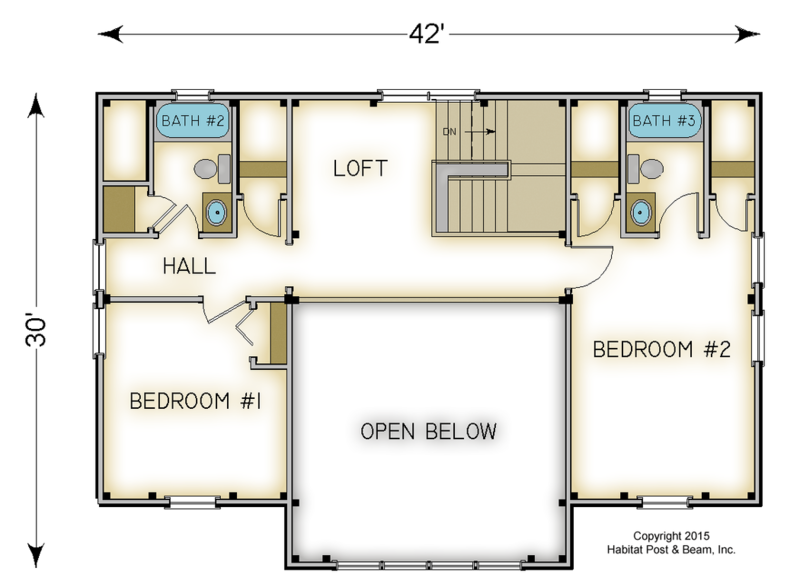 The right side is for the kitchen and dining room, and the left for a den/library and large full bath with laundry. Upstairs is about 870 sq. 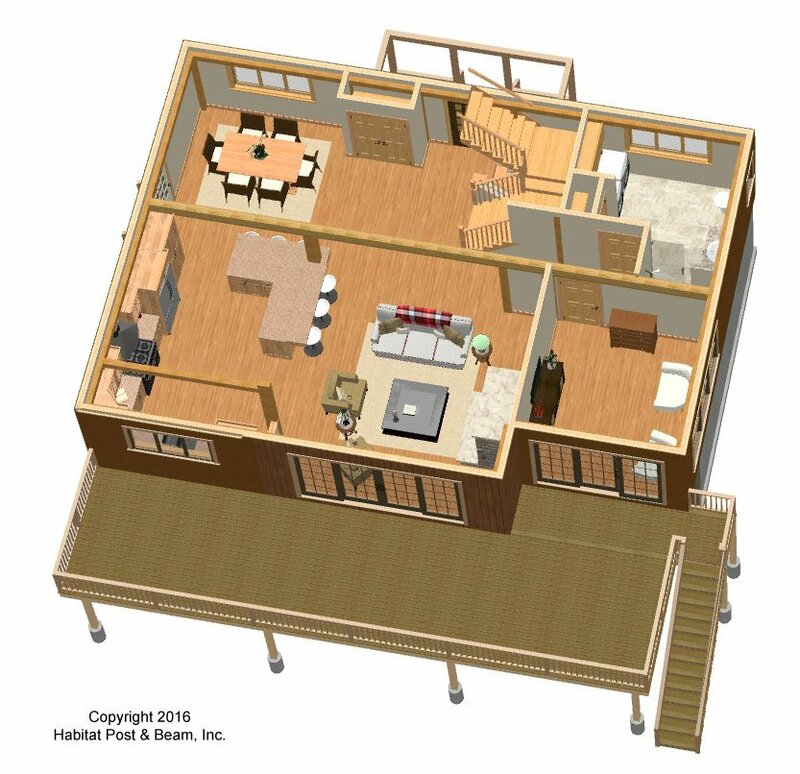 ft., and each wing has a bedroom and full bath connected by a central stair landing and a loft that looks down onto the living area below. The entire upper level uses our Plaster and Accent Beam cathedral ceiling. The basement walkout level of about 1212 sq. ft. is currently designed for utility/storage space. 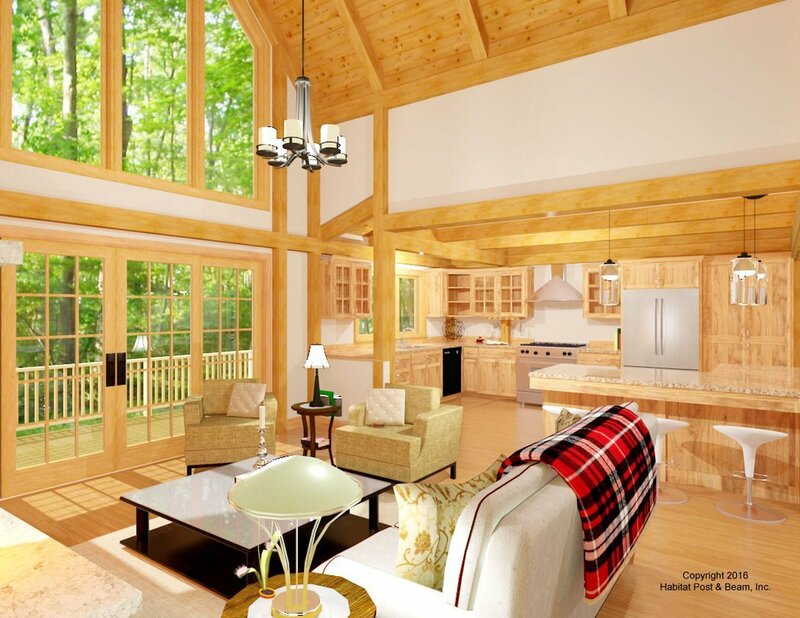 Package Price: $189,000 as specified below (from $168,000 to $212,000 depending on framing options). The standard price includes our Full Exposure Wall System, Plaster and Beam or Beamed Mid-Floor System (same package price), our Beamed Roof System over the center section, and our Plaster and Accent Beam Roof System over the wings. The entry porch is our Liner Porch System. The walkout level (daylight basement) is not included in the above pricing.